After working hard to dismiss iPhone X as too expensive, AirPods as a very minor success and HomePod as far-off vaporware missing the window of opportunity afforded to smart speakers, the low-paid writers hired by the Associated Press, Bloomberg, CNET and Reuters to fill the gaps that regular staff can't get to are again converging on Las Vegas to depict the really big prototype TV concepts of CES as being potentially affordable, commercially significant at some point in the future--and anything but vaporware. I can't remember the last time I resorted to looking up a business in a telephone book. CES is sort of the same thing; it's like renting a DVD from a store or flipping over a cassette to use the other side of the tape. It's actually been three years since I wrote anything substantial about CES, and that was my 15 year history of how very little of real importance was every delivered at the event, particularly when compared to Apple's annual launches of new products and technologies that dropped with industry-shifting significance every year. CES is basically a series of press releases, delivered in person inside of a very large room. It's like a live action version of a tech journalist's inbox, but with literal shouting rather than just unsolicited emails using emboldened all caps. Occasionally, there are minor novel products, new updates and tech trends at CES that are worthy of a passing note, just as with one's spam box. However, the less experienced the journalist is, the more substantial all of those messages seem to be. That's why big-headline companies hiring low-paid writers see CES as a goldmine of clickbait. The biggest news of CES is not really "news"
Imagine the soul-killing drudgery of having to feign excitement over Alexa-integration in everything from your sous-vide 4.0 to your electronically-aimed bidet. This sort of thing isn't really breaking news; it's incremental deployment along the lines of the kind of announcements Apple trickles out throughout the year: new banks supporting Apple Pay, new studies making use of ResearchKit, new vehicles supporting Car Play and new devices for sale that integrate with HomeKit, Apple Watch or the Heath app. For smaller developers (relative to the global leading tech firms), CES provides a crowded showcase for their new gadgets. Moen smart showers with Alexa and Siri integration; Kohler faucets that work with HomeKit; Orbit outdoor HomeKit sprinklers; Whirlpool appliances that connect to AppleWatch; smart toothbrushes from Kolibrees (using ARKit!) 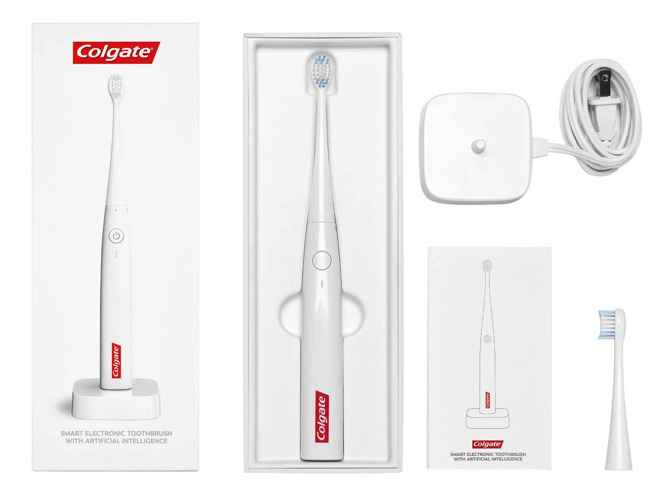 and Colgate, (designed to work with ResearchKit! ); HomeKit-enabled baby monitors from Netgear, and a variety of other batteries, hubs and HomeKit accessories. These things are all novel and sort of interesting, but could just as well be discovered in a trip to the Apple Store or browsing an online catalog. None will garner the adoption of AirPods, and collectively they're worth less than Beats, the acquisition that concern troll clickbait bloggers like to suggest isn't and won't ever be worth anything, just because they say so, even though Apple Music and the W1-powered products Apple sells are now one of the biggest forces in the music industry globally. Beyond smaller projects and developers, CES also offers a showcase for the tech giants with nothing to offer. Those that do have successful products don't bother to show up at CES, which is probably the worst place to seek any focused spotlight for a significant new product. It's like yelling fire in a theater where there's an active shooter already firing. 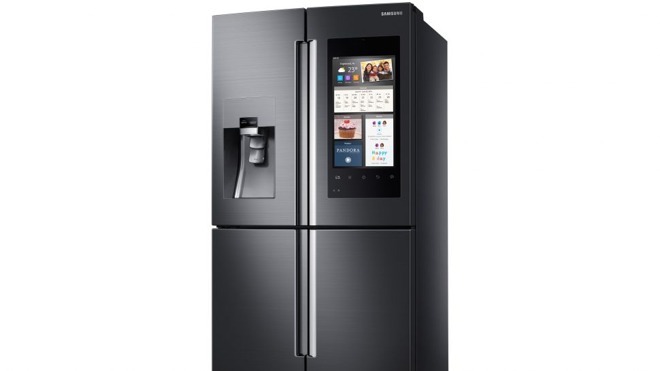 Samsung was there showing the super big TVs it brings every year, as well as its "smart refrigerator" sporting no toaster but a big iPad that does nothing but ring doorbells and "view camera feeds from inside their homes to see what's happening in another room." Who thinks this stuff up? That's straight up asinine. Google's big reveal was copying Amazons equally puzzling Echo Show (which combines a stationary, small TV with a spy camera and microphone that records you inside your home for marketing purposes)--and having its partners build it. You might call this kind of partner-deployment delegation "Google TV-style" or "Honeycomb tablet-style" or "Android Wear-style". The pattern here is that Google uses "partners" to launch the turds it knows can't fly even as far as its own Pixel, Chrome and Nexus flightless flops. Remember that Google has been struggling with its hardware strategy just as long as Apple has been successful building iOS devices; the difference is that Apple has generated around a trillion dollars while Google has only burned through a decade of ad revenues with little to show for it apart from a free "Android inside" sticker on lots of products from China that dont really benefit Google at all. But sure, maybe the companies that can't compete with Amazon will be able to with help from Google Assistant, just like the companies that can't compete with Apple have done really well partnered with Android. Speaking of which: Sony showed up with a bunch of Android phones nobody is going to buy as well as a $30,000 projected 4K TV. Not a single soul remarked that the price of this luxury gadget was three times as high as the Gold Apple Watch that every last person on earth scoffed about as being so terribly expensive and a bad sign that Apple was aloof and out of touch with the middle America voter back in 2015. I wonder how many rich people in China will take photos of their dog wearing one or two of these new Sony projectors? LG showed off a prototype rollup OLED huge TV display that you can't buy, but CES reporters didn';t talk about it like Apple's 3-month delayed HomePod. They fawned about how exciting it was that the technology existed to create a demo of a product that won't ever sell, from a company that can't even make money selling a variety of conventional smartphones (including Google's massively advertised Pixel 2 XL, which isn't attempting futuristic rollup functionality--or even a bezel free design--but instead still struggles to work as a crappy OLED screen with bad burn in issues and extreme color shift on top of a series of construction and integration problems including shipping without an OS). It's almost as if CES is saying "pay no attention to the products not selling behind the curtain-sized prototype TV vaporware!" But that's not new, that's what CES has been for the last two decades.